CEO and Queen’s alum, Stephen Clarke (1989), is to share his story and pass on tips picked up from his leadership roles in high street retail giants WHSmith and Argos, when he addresses both current and former students and staff in The Graduate School at the University this week (6pm, Thursday 31 May, 2018). The latest in the monthly Thought Leaders: Inspire series organised by The Graduate School, Stephen’s address offers a unique opportunity to find out more about multi-channel retail, performance management and merchandising. Stephen Clarke was appointed Chief Executive of WHSmith in 2013, having joined the company nine years earlier as Marketing Director for High Street Retail. In 2006 he was appointed Commercial and Marketing Director and in 2008 became MD for High Street Retail. He joined WHSmith from Argos where he had been Head of Product Marketing since 2001. His career began at the Dixons Group where he carried out a number of store, product and marketing roles. Speaking ahead of his visit, Stephen said: “I had a great time at Queen’s! It took me out of my old world and really set me up for my future career. With almost 14,000 employees in over 600 high street stores and as many in airports, train stations, hospitals and motorway services, WHSmith is one of the UK's leading retail groups and a household name. The Thought Leaders: Inspire series aims to inspire the graduates through listening to thought leaders and as part of an ongoing initiative to develop a vibrant, enterprising postgraduate community at the University, offering networking opportunities with a range of experts, peers and academics. 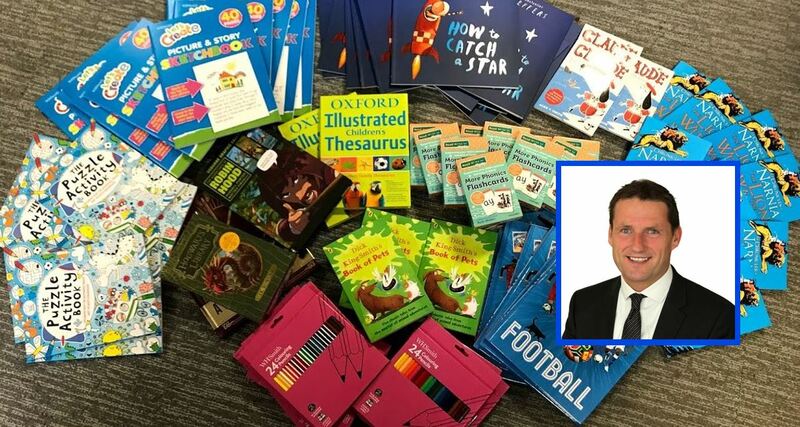 Stephen is generously supporting the Widening Participation initiative ‘Reading Together’ at Queen’s, to which WH Smith has also donated books and other resources to enhance the experience of its participants. 'Reading Together' is a joint project between Queen’s University and the South Eastern Trust which aims to raise the literacy standards of children in care by providing one-to-one support from a student at Queen’s. Thought Leaders: Inspire (6pm, Thursday 31 May, 2018) is free of charge (though registration is recommended) and everyone is welcome. Refreshments will be provided. Register here.